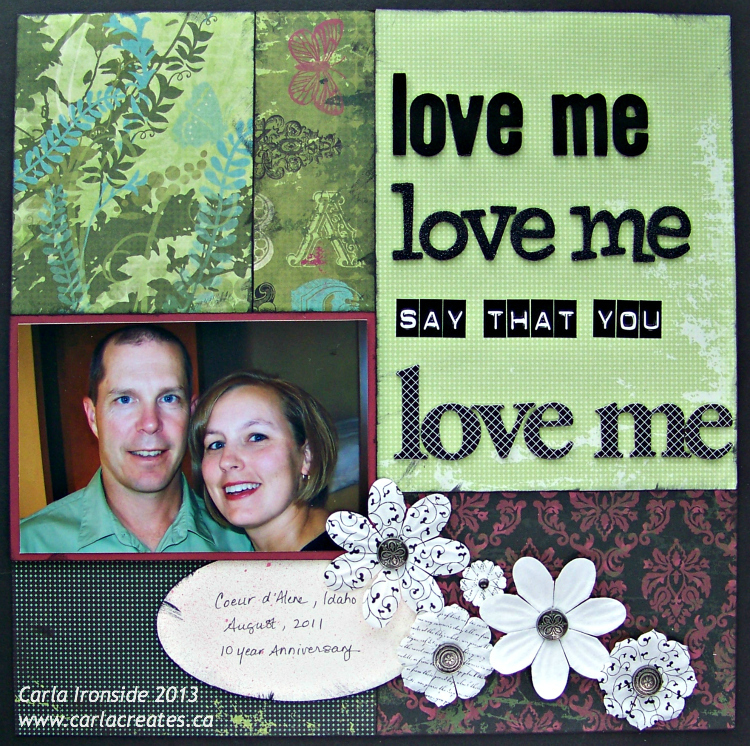 Carla Creates: Love Me, Love Me! We are celebrating April Fool's all month long at Scrap it with a Song and our pick for the playlist this week is "Lovefool" by the Cardigans. I actually didn't even know that was the name of the song but when I looked it up on YouTube, I was like "ooohhhh!!! THAT song!!" Anyway - great one to sing along to! Digging into my stash for this one using an older collection - CTMH's "Wings" and an assortment of alphas from my giant alpha sticker drawer! The Pewter designer brands and paper flowers are all CTMH. Sketch is #250 from Creative Scrappers. Thanks for stopping by - hope this week's SIWAS song has you singing (and scrapping!) along too! Ah this is such a cute layout. Love the title... sweet photo. Love it.